Greening block by block: Newington Ave.
Newington Ave. is home to some of the most exciting greening projects in Reservoir Hill. Residents have transformed the 700 block of Newington Ave. into a tree-lined street with beautiful flowers everywhere, from the windows to the stairs, and even to alleys and empty tree pits. While residents are the ones who have the vision to accomplish these projects, RHIC can help to connect neighbors to each other and to find funding sources for future projects. 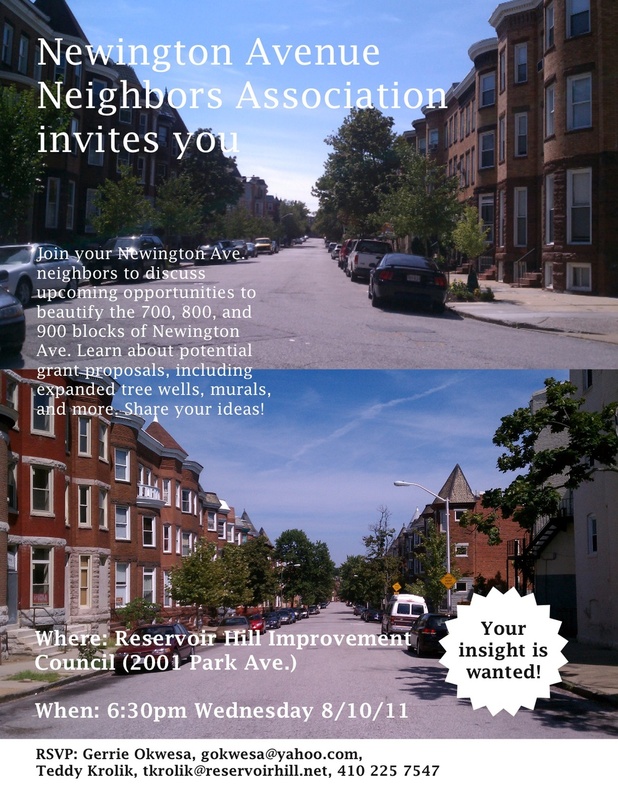 In the coming year, we hope that both the houses and residents along the 700, 800, and 900 blocks of Newington Ave. will all be linked with trees, flowers, and other community-building projects. Newer PostWho's gonna turn down an eggplant? It's egg, it's plant--its delicious!